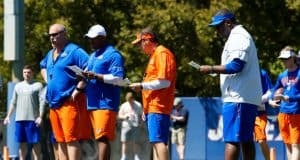 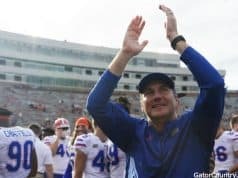 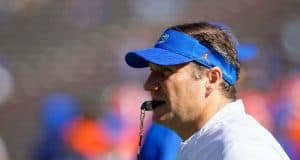 The potential to play for Dan Mullen is intriguing to 2021 quarterback Aaron McLaughlin after he visited the Florida Gators earlier this spring. 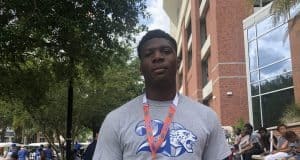 2020 linebacker Phillip Webb likes the Florida Gators after he visited Gainesville last week and talked with the coaching staff. 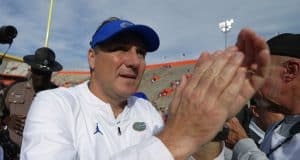 2020 South Carolina offensive line commit Javion Cohen picked up an offer from the Florida Gators last week after Dan Mullen was blown away by his film. 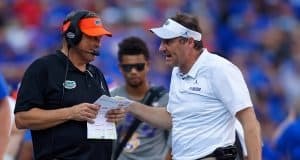 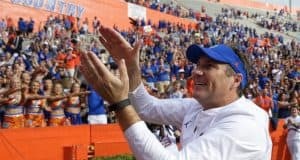 Quarterback Anthony Richardson has committed to the Florida Gators over offers from Michigan and Penn State among others. 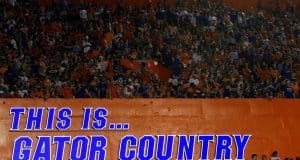 2021 defensive back Ga'Quincy McKinstry visited the Florida Gators last week and he enjoyed watching spring practice in Gainesviile. 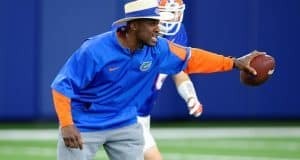 2022 defensive back Jaheim Singletary has the Florida Gators as one of his top schools early on in his recruitment after he visited Gainesville on Monday. 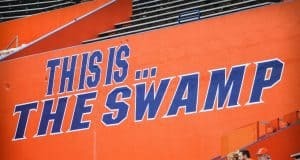 Running back DeaMonte Trayanum picked up a Florida Gators offer on Sunday and he broke down what the offer means to him. 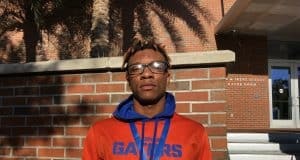 2021 receiver James BlackStrain says his offer from the Florida Gators last week means a lot to him for a few different reasons. 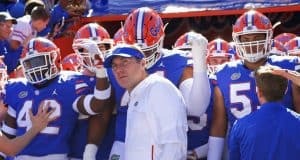 Outside linebacker Sav'ell Smalls visited the Florida Gators on Friday and he likes the Gators and now plans to take an official visit to Gainesville. 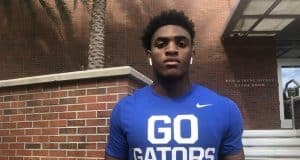 2021 defensive end Dylan Brooks picked up an offer from the Florida Gators on Wednesday and then quickly put Florida in his top 3. 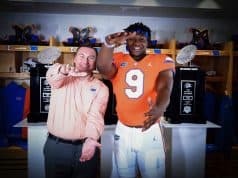 2021 defensive tackle Desmond Watson likes the Florida Gators early on in his recruitment and he visited Gainesville last week. 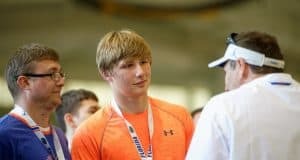 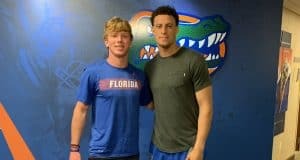 2021 quarterback Brock Vandagriff says the Florida Gators are very appealing to him for several reasons but the main reason being that Dan Mullen is in charge in Gainesville. 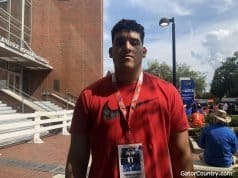 2021 tight end Cane Berrong had a great visit on Saturday when he visited the Florida Gators and watched spring practice in Gainesville. 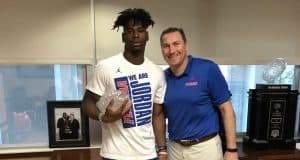 Athlete Jaheim Bell likes the Florida Gators offense under Dan Mullen and he's already planning to return to Gainesville for his second visit this spring. 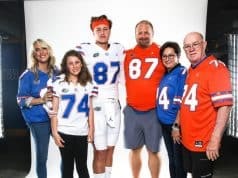 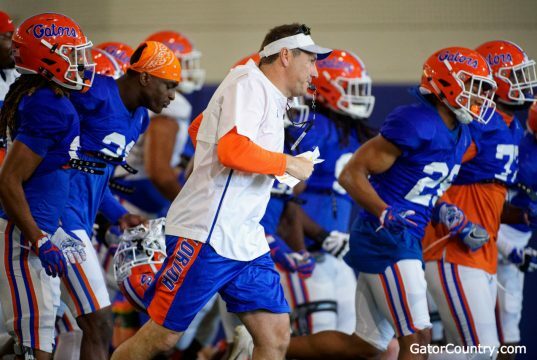 Tight end John Copenhaver is building a good relationship with the Florida Gators and he visited Gainesville on Saturday for a spring practice.